We are thrilled to announce that Paul Unger, CEO of PlaceTech, will be one of our two hosts at FUTURE PropTech! Having partnered with PlaceTech in 2018, we have gotten to know Paul, Dino and the rest of the PlaceTech team very well. They are a very dynamic and forward thinking group and our values are very much aligned. We are partnering with PlaceTech again for the 2019 show, as they were incredibly professional and went above and beyond to assist us in promoting the show before, during and after the event. We have not worked with such a driven team before. We feel that Paul is the best man for the job, as he is charismatic, funny, charming and knowledgable. He also has an amazing helicopter view of the sector. He can see PropTech from all angles and understands the market from both a real estate and technology perspective. We are very excited to see how he welcomes our panelists and engages our audience with his Northern charm. PlaceTech to fill a gap in the market for a dedicated proptech publication. We know you will adore him and we look forward to welcoming him to the stages! Here is our agenda and speakers which he will be working with on the day. If you are not already aware of PlaceTech, check them out here! 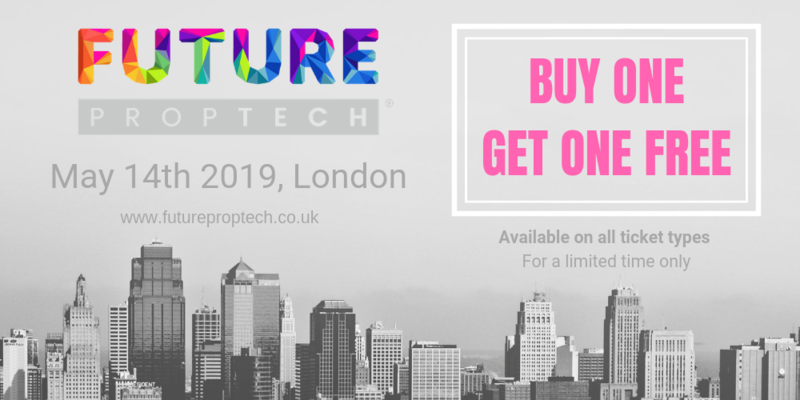 It is an incredibly valuable resource for all things Proptech. Here's some cool content they created for us last year! Watch this space for more event updates. We are currently offering a buy one get one free deal for a very limited time. Book today to get two tickets for the price of one!